Are you visiting Philippines for the first time? 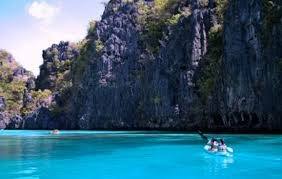 The Philippines offer mountains, beaches also friendly people, and interesting cultural attractions. If this is your first trip to the country, it is wise to pack lightly to reduce the stress of travelling. The weather throughout the year is hot and humid, unless it is raining or there is a typhoon. Now, in case you are wondering about crimes in the Philippines, I can proudly say that unlike in other countries, you can still walk around the street of Manila at night. Nevertheless, it is best to avoid places considered high risks for tourists. 2. When riding a taxi, do not ask anymore “how much” just look at the meter and pay then walk away so you won’t be hassled into adding a few more pesos to the total fare. 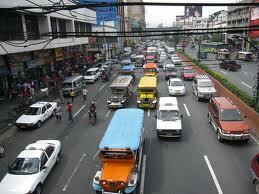 Of course, if you feel like giving a tip for good driving then a reward of P20 to P30 is more than enough. 3. If your running out of pesos, visit a legitimate money exchange establishment and not do business with just about anyone you meet. Furthermore, count your money twice before leaving the money exchange shop just to be sure you are not fooled by a scam artists. 4. Filipinos are happy people but also sensitive. Therefore, avoid raising your voice and calling someone stupid or other name for a slight mistake. If you have a problem with a Filipino, you have two options, either you walk away or discuss the problem in a sensible manner. Keep in mind that Filipinos are one of the friendliest people on earth so there is no doubt that you can settle whatever the problem with a cool head. 5. In the Philippines, A lot of people arrive late for a meeting so don’t expect an event or meeting to start on time. In fact, punctuality is not one of our best traits, sad to say so prepare for the worst. 6. When traveling the country, avoid accepting drinks, food, or candy from strangers even if offered by a woman, a child or someone you have just met in Facebook and meeting for the first time especially if you are alone. 7. If you plan to use the public transportation to go around, avoid bringing valuable items with you when touring the city and always keep your backpack in front when on the trains or buses. You should also consider wearing a money belt, so even if you lost your wallet to thieves, you still have money to get back to your hotel. 8. A lot of Pinoys still drink tap water, but since you are not accustomed to our water it is safe to bring a bottle of mineral water all the time. By the way, buy your bottled water from the supermarket and not from the street vendors. The vendors I’m talking about are the ones that sell water in buses and jeepneys. 9. 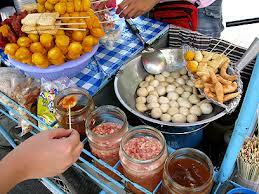 Street foods are delicious, but these foods are not prepared under strict sanitation. So, unless you have medicine to appease a raging stomach or have lots of tissue in your backpack, avoid eating street foods on your first day. Wait until after your stomach has accustomed to our food. 10. Filipinos do things differently, so stop wondering why we do what we do, or you will just get a headache analyzing Filipinos habits and the way of life. Come to think of it! The best way to enjoy your trip is to accept what you cannot change as our way of living may seem funny, does not make sense or out of the acceptable norm but it what makes us unique. I hope you enjoy my travel tips, and do keep them in mind so you can have a pleasant vacation in my country.